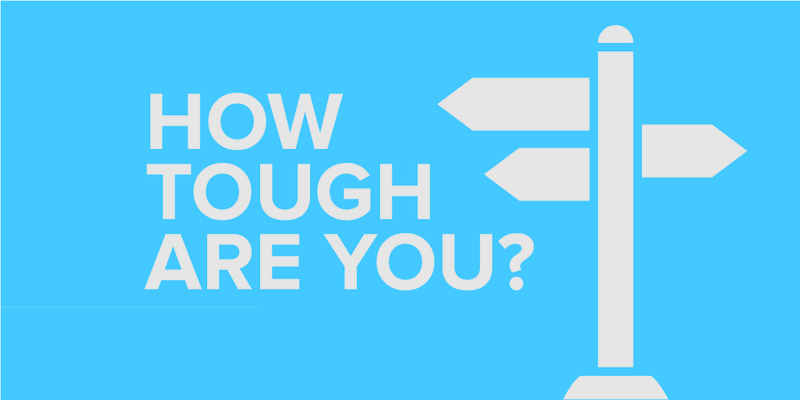 Fan Feedback: How Tough Are You? Dark Souls is a fantastic franchise known for its challenge and truly unique enemy design. It also is one of this industry’s best examples of telling story through environments and gameplay, rather than wresting control away from the player for some prolonged, exposition-laden cutscene. Experts of the game can all tell you about the tragic story of this dying world, which features subtle nuances like … okay, I don’t know. I got to the Painted World of Ariamis, died a bunch of times, ran out of arrows, and simply could not escape. I felt pretty disappointed (I’d worked hard to get to that point), but there was something about not finishing the game that felt okay. It’s a franchise that, quite simply, is not made for players like myself who look at the Easy setting like it’s some tantalizing taboo, left untouched due only to pride. How do you play though? Are you like me, and enjoying the challenge of games like X-Com because they let you breathe while you figure out the best course of action? Or do you solo Monster Hunter 4 Ultimate‘s hardest missions for fun? 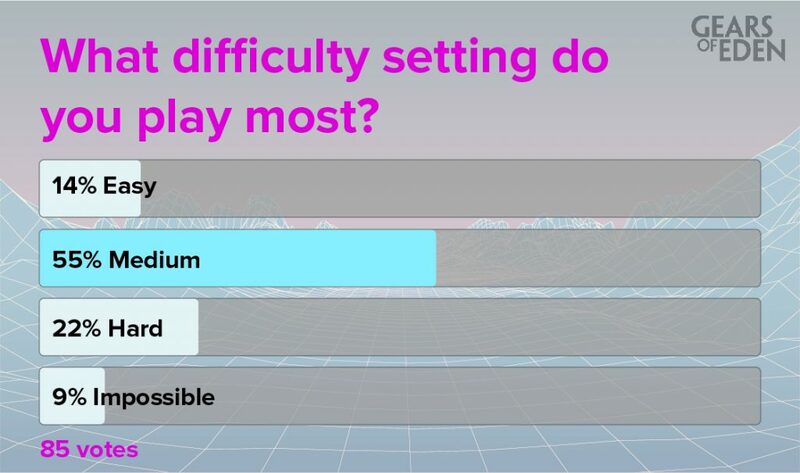 Well, naturally, most voters are finding themselves on the normal difficulty. More often than not, this is the experience that the game was designed around and the other settings tend to rely on value-manipulations in regard to enemy health, damage, and very commonly, the amount that healing items are able to help you. What’s really interesting to me though is that there are more players playing on hard than there are on easy! This makes sense in a medium defined by competition (with other players or the game itself), but with the ever-aging gaming demographic, I’d have expected to see more players looking for a more low-key experience. What I’d really like to know though, and this is something our data can’t demonstrate, is how much the percentage of “impossible” level gamers has changed over the years. So, as always, what does this information mean for Gears of Eden? Well for us, the most important part of the game has always been a focus on discovery and exploration which brings along an age-old struggle in game design: how do you make the experience feel earned without making it feel monotonous? Currently, we’re hoping to end up in a place where the game feels accessible to the player without simply handing them achievement. Obviously, this is going to take a lot of “trial-and-error” playtesting, but at least we know now not to stray too far to the extremes. That’s it for this week’s Fan Feedback, but as always, we have another poll for you! When you’re playing a game, how important is cosmetic customization to you? Are you running stock? Or do you spend hours in the character creator trying to make the best character you could imagine? We’ll be back next week to share our thoughts on this topic, but before then we also have our weekly Dev Update to tell you about what’s going on from our end! If you want to see both of these posts (and everything else Gears of Eden) be sure to follow us on Twitter or Facebook! Thanks for reading and we’ll be back soon!